Here are some answers to the most frequently asked 5K questions that will leave you feeling motivated and knowledgeable, and talking like a running veteran in no time. 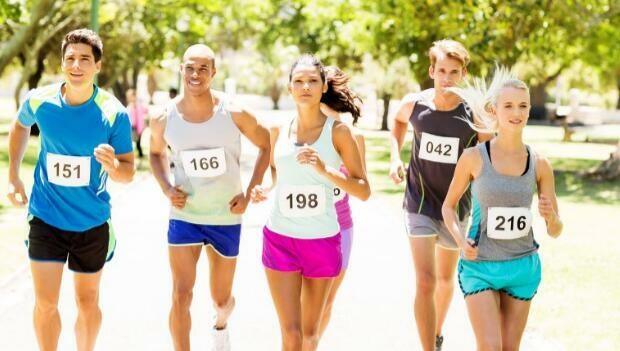 The "K" in 5K stands for kilometer, which is the equivalent of 0.62 miles. Therefore, a 5K race is 3.1 miles long—a fantastic distance for beginning runners to conquer. Which 5K is the Most Popular in the World? Currently, the largest 5K in the world is the Race for a Cure: DC event in Washington D.C. The largest event in the Susan G. Komen Race for the Cure series to fight breast cancer, this 5K boasted 35,143 finishers last year. That's a lot of runners! The current world record for a 5K distance run was set on May 31, 2004, by Ethiopian distance runner Kenenisa Bekele. Bekele's time was just 12:37:35. Remember, a 5K is the equivalent of 3.1 miles, so Bekele's record was set at a pace of only 4:03 minutes per mile! Where is the Craziest 5K Held? With the popularity of 5Ks growing every year, race directors have begun looking for ways to entice new runners. Enter the crazy-themed 5K. From races completed entirely in the nudeto mud-filled pits and Krispy Kreme donuts, the possibilities for some unusual 5K fun are bountiful. Few races compare, however, with the Biscuitville Bowl's 7 Campus Scramble in Greensboro, North Carolina. Runners of this crazy 5K choose to scramble through four biscuit-themed obstacles. Tires filled with wet grits, flour showers, a buttermilk slip-and-slide and a jelly belly crawl make this race one for the "crazy" record books. When did 5K Races Become Popular? While races of 5 kilometers in length are called 5Ks to roadrunners, a race of equal distance, the 5000meters, originated on the track. The 5000-meter race has been part of track events in the Olympic Games and the IAAF World Championships for many years; times have been recorded in the event as far back as 1897. Because the distance is short enough for amateurs to successfully complete, fast enough for experienced runners to test their speed, but also long enough to require a large amount of aerobic endurance, the 5K has become a popular race for both novices and experts alike. Now that you have the answer to the question, "How many miles is a 5K?" and have learned some other fun 5K facts, you're ready to take the next step and choose a race. There's bound to be a 5K nearby that is just right for you. See you on race day. Looking for something else? Search for a 5K.